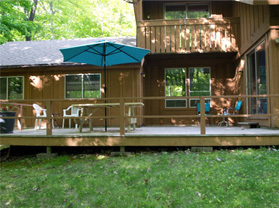 Your Wisconsin vacation rentals in beautiful Door County should be your destination. 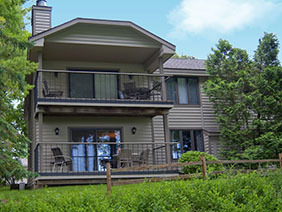 Create Memories together in Wisconsin…plan the perfect stay in Door County, Wisconsin. It is easy to reserve space online here. We have the options for cozy overnights, romantic getaways, family vacations, reunions, girlfriend getaways, retreats, elopements, honeymoons, special occasions and so much more! Simply click on the lodging option that appeals to you for more information and photos. There is a 3 night minimum on all vacation rentals and a 10% discount on all stays of 5 days or more. Your Wisconsin vacation is awaiting you. All properties have Wi-Fi. All Vacation Rentals must check-in, between 4pm and 7pm, at our new office at 7914 Church Street, Egg Harbor upon arrival for instructions. Click here for our brochure . Location map, scroll to bottom. The Lighthouse Theme is through out the house. 3 bedroom, 2 bath . 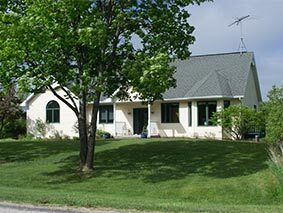 House within walking distance to everything in downtown Egg Harbor, very private. Located in downtown Egg Harbor adjacent to Main Street Market. This is a wonderful 4-bedroom, 4-bathroom house within walking distance of shops and restaurants, also Harbor View park and the Egg Harbor Marina to enjoy a beautiful sunset view over the waters of Green Bay. This is a Pet friendly house and will be open year-round. 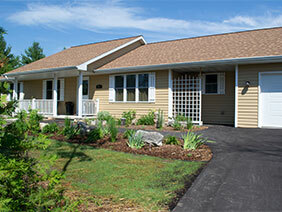 Each bedroom has its own private bath and the house is Handicap Accessible. Our location is Egg Harbor, in the middle of Door County, Wisconsin.